What harmonica is used in "Danca" by Arina Stam? What a lovely tune! This sounds like a tremolo tuned harmonica to me. It’s hard to tell exactly which model or brand is used here, but as you say it’s in A major. I would suggest trying it on a Hohner Echo Harp, this is closest design-wise to the model pictured on the video. However, it’s not available in the key of A. The only Hohner tremolo model available in A is a replacement harmonica for the Tremolo Sextett (you don’t have to buy the entire Sextett). I hope this helps! Hello Steve. Thank you very much for taking the time to answer my inquiry. I really appreciate it! Hello Steve, while we are on the subject of Hohner Echo. Although not a tremolo Echo I came across this video of the Echo Vamper low E like the 364 soloist diatonic it carries a great low bluesy sound. Are these still available UK or can one be made in the key of E? what a great harp! The 12 hole Echo Vampers were as far as I know only made for the British market. Up til the mid-1970s, the 10 hole Marine Band was also exclusively sold in Britain as the Echo Super Vamper, presumably because the name Marine Band wouldn’t have meant much to Brits. Sonny Boy II definitely acquired a set of 12 hole Echo Vampers while he was there and they became a major part of his late period sound. John Mayall told me that Sonny Boy got Hohner UK to give him (John) a set in all keys at that time. Unfortunately selling the Echo Vamper in all keys was never really a viable commercial proposition and this was long ago discontinued. 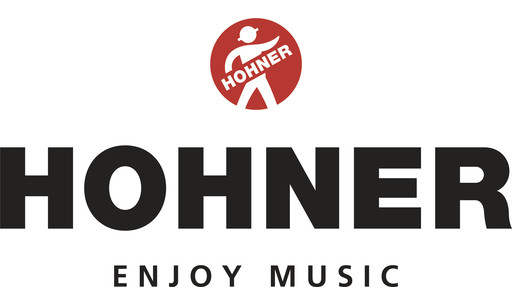 The MB 364 is only available in low C, low D and G today (https://www.hohner.de/en/instruments/harmonicas/diatonic/marine-band/marine-band-364). The only Marine Band model available in low E is the Thunderbird. Thank you Steve. My next question is if sold separately will the Hohner Thunderbird LE 0.9mm brass reed plates be compatible with a Marine Band E diatonic wood (pear-wood) comb? If so how much are the Thunderbird LE 0.9mm brass reed plates? If you’re talking about the comb from a regular high E Marine Band, this has short slots, whereas the low E reed plates have a long slot mensur (longer reed dimensions), so the slots in that comb are too short for the long slot reeds. All Hohner diatonic models from Db downwards have long slot reeds. Your comb and the T-Bird reed plates have the same external dimensions, so they would fit around the outside, but you’d still need to select a long slot comb and drill the appropriate holes in it for the reed plate and cover screws. You can check if the reeds have sufficient room to vibrate by just holding the reed plates in place on the comb and playing them. Thank you Steve I may try that with my Bb comb and go with a LF & LE.